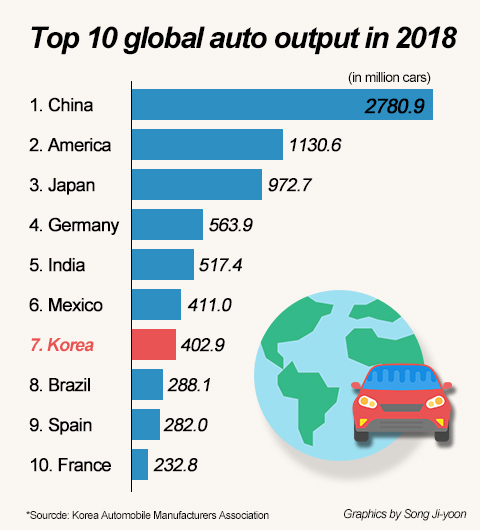 South Korea slid down to the seventh in the global ranking of car production behind Mexico last year, extending a decline for three years in a row amid a slump in domestic and global demand combined with its high-cost and low-efficiency industry structure, data showed Sunday. According to the data released by the Korea Automobile Manufacturers Association (KAMA), South Korea produced 4.02 million vehicles in 2018, down 2.1 percent from a year ago. The 2018 figure put South Korea as the world’s seventh-largest car manufacturing country, down one notch from the previous year. Mexico caught up with 4.11 million units last year. South Korea was the world`s fifth-largest car producer in 2005 but was edged out by India to the sixth in 2016 and 2017. Korea’s car output has been on the decrease over the past three years from 4.55 million in 2015 to 4.22 million in 2016 and 4.11 in 2017. 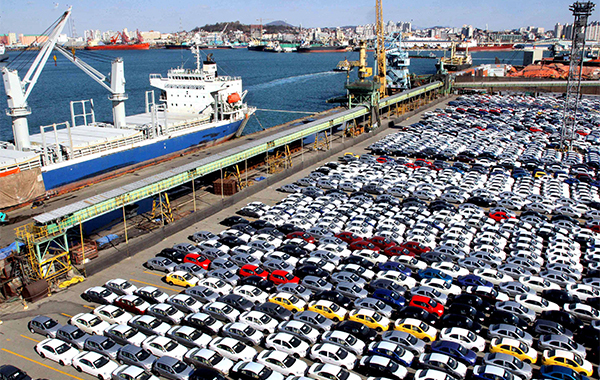 South Korea`s total car exports continued to fall over the six years, leading to 2.45 million vehicles last year after peaking at 3.17 million units in 2012. The association blamed frequent labor conflicts and employment rigidity for the industry’s high-cost and low-efficiency structure that led to the output decline. Production disruptions due to the closure of GM’s Gunsan plant last February were also detrimental. The KAMA calls for extended wage negotiations and the revision of laws to enable replacement working as a solution.